Having recently hosted the Final Stage of European Tour Qualifying School, Lumine Mediterranea Beach & Golf Community was showcased to a wider audience, and this renowned venue in Spain has revealed new winter sun packages that will attract golfers to this spectacular destination. 156 European Tour hopefuls gathered at the leading Costa Daurada venue in November, with the top 25 and ties being rewarded with tour cards after six dramatic and challenging rounds over Lumine’s stunning Lakes and Hills Courses. 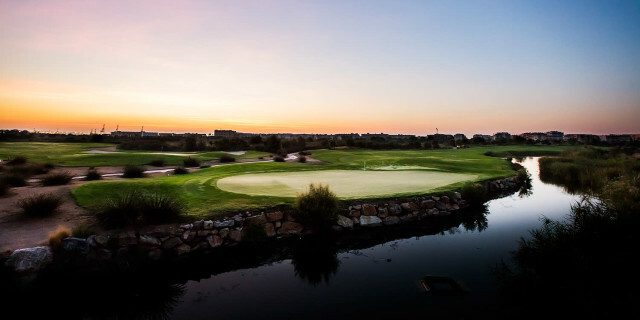 The new package offerings allow golfers to take advantage of the pristine conditioning of Lumine’s three courses, which were highly praised among European Tour Qualifying School Final Stage competitors for their challenge and quality of conditioning. In collaboration with local luxurious hotels, Lumine’s new packages are based on four and seven-night stays with unlimited golf at one of Europe’s premier golfing destinations. From 395€ per person, including practice balls and breakfast, there is no better time to visit. The resort offers an unrivalled golfing experience for all levels. Lumine has perfectly balanced their courses to offer challenges and rewards across 45 exquisite holes. Golfers can tackle two courses, designed by World Golf Hall of Famer, Greg Norman: Lumine Lakes, a 6,300-metre, par-71 golf course which is the most technically challenging; and the Ruins course, a nine-hole layout located upon Roman archaeological remains dating from the second century BC. Lumine Hills completes the line-up; a 6,334-metre, par-72 course in sharp contrast to the Lakes with its incredible coastline views, set amongst leafy woods and olive plantations. A trip to Lumine is not simply just for golfing, with leisure and culture playing an integral role in its offer. Lumine’s two fantastic clubhouses offer first-class hospitality on site, and the ideal spot in which to relax and enjoy top-quality cuisine. Budding historians can also enjoy the ancient city of Tarragona and its World Heritage sites, which are within 10 minutes of the resort. The wealth of restaurants and the picturesque Cambrils Marina are located within a similar journey time, while the resort also nestles between three renowned wine regions. For further information about Lumine, please visit Lumine.